Have you ever been annoyed when your Touch ID is not working? This might happen if your hands are wet or the sensor is dirty. I tried this hack and it seems to have improved my results. You basically scan the same fingerprint multiple times as different fingers. If you don't know how to set up your Touch ID or would like a refresher, here are the instructions from the newly minted Trillion dollar company that is Apple. I'm not sure if it is the placebo effect, but it seems to work better than before. Give it whirl and let me know what you think! Have you ever had to stir a jar of all natural or organic peanut butter? Halfway through did you feel like making a Workers' Compensation claim for Carpal Tunnel Syndrome or Tennis Elbow? The good news is there is an EZPZ method to do this more quickly, less painfully, and at little to no cost. What most people, including myself do is use a spoon and try to stir things in the jar or if I'm feeling ambitious, in a bowl and then putting everything back in the jar. The problem is a spoon is not an ideal tool for the job of re-integrating the oil into the peanut butter. Instead, try this. 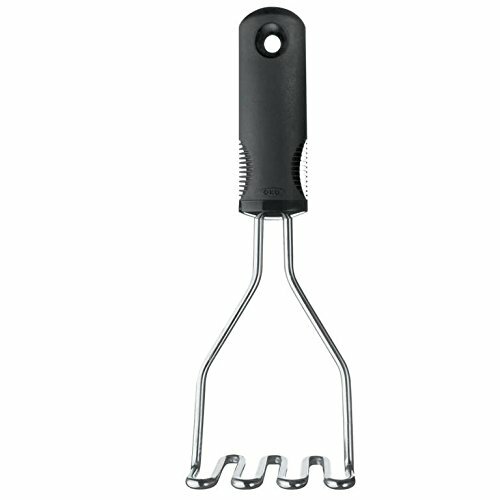 A potato masher is a tool a lot of people will already have and if you don't, it doesn't cost much to pick up an affordable one. Just pour the oil on top into a bowl and scoop out some peanut butter. Mash until blended to your satisfaction and repeat. Since using a potato masher instead of a spoon, I've cut my time in half and as a bonus, look like a good husband for following through on my wife's suggestion. The article The Genius Trick To Storing Natural Peanut Butter, No Stirring Required, which I shamelessly stole from to name this post, also has a nifty EZPZ trick for storing your all natural peanut butter. Good luck and please try this. Your wrist and elbow will thank you!